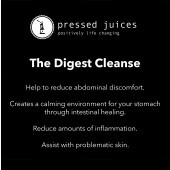 This cleanse is for you. 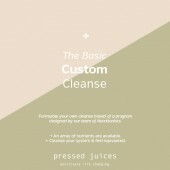 Our Juice Cleanses are designed for people who want to start the detoxification process a little more gently, without overwhelming the body, as well as experienced cleansers. 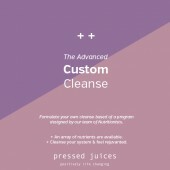 Available as a 3 day, 4 day or 5 day juice cleanse, these program combines our famously fresh juices, smoothies, tonics and mylks to help you eliminate unhealthy toxins and return to a natural state of energy and wellbeing.Your body will be flushed with nutrients and micronutrients, vitamins and minerals, gentle on the digestive system - allowing your body a total reset. Once you’ve chosen your 4 day, 5 day or 3 day juice cleanse, you can opt for delivery or pick up your juices in store. It’s then important that you prepare your body leading up to your cleanse. This includes getting lots of water, fruits and veggies, as well as easing off caffeine, nicotine, alcohol and processed sugars.